Changing Table Necessities with Huggies | For the Joy of Life. 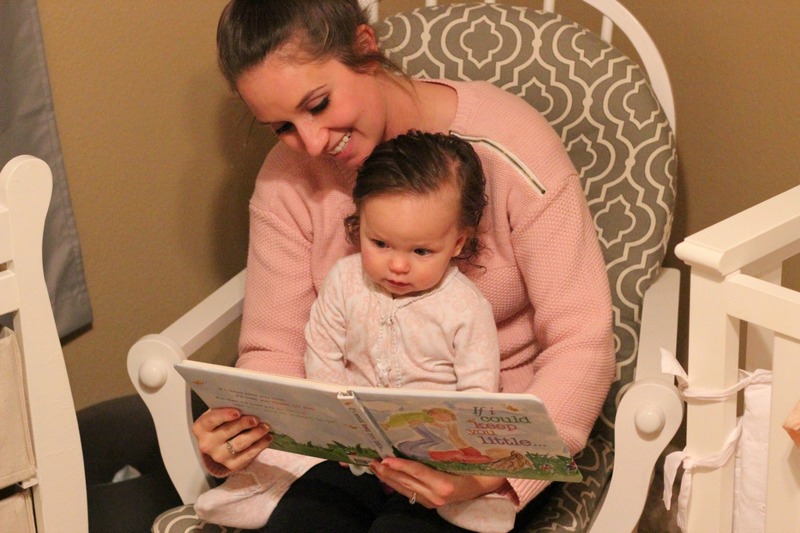 I'm a young mom, I'm also a first time mom, but I've learned more than I ever could have imagined these past 18 months in the parenting world. 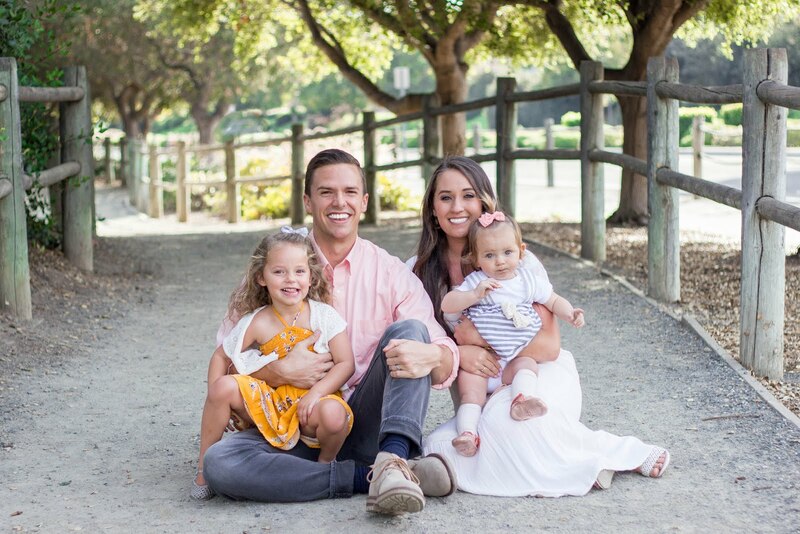 I've learned that at times it's going to be hard, at times it'll be challenging, and sometimes you'll want to throw in the towel and just run away... I've also learned that your heart will grow ten times bigger, motherly instincts do actually kick in, and you'll love like you've never loved before. But, most of all, I've learned that being prepared will save you a whole lot of time and energy during your day to day life. 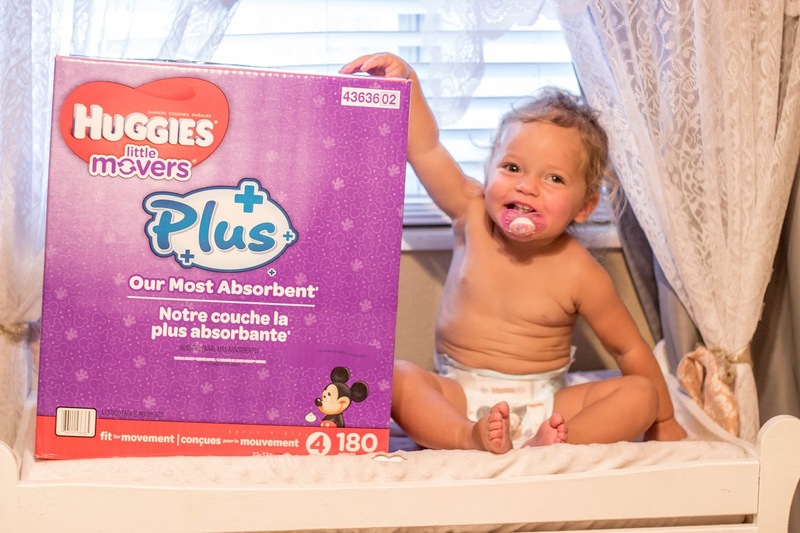 Whether it's always having a snack on hand or keeping stocked up on Huggies diapers... being ready with "mom supplies" will keep you mentally sane during all hours of the day (and night!). Let's flash back to a moment I'll never forget for a second. Oaklyn was only a few months old and was going thought a major sleep regression. I was sleep deprived, incredibly grumpy, and I was lucky if I remembered to put shoes on on my way out the door. Because I was so tired, I forgot that my wimpy little package of off brand diapers was just about to run out. It only came with about 24 diapers, was over $15, and I was already almost out! One night, Oaklyn absolutely would not go back to sleep. 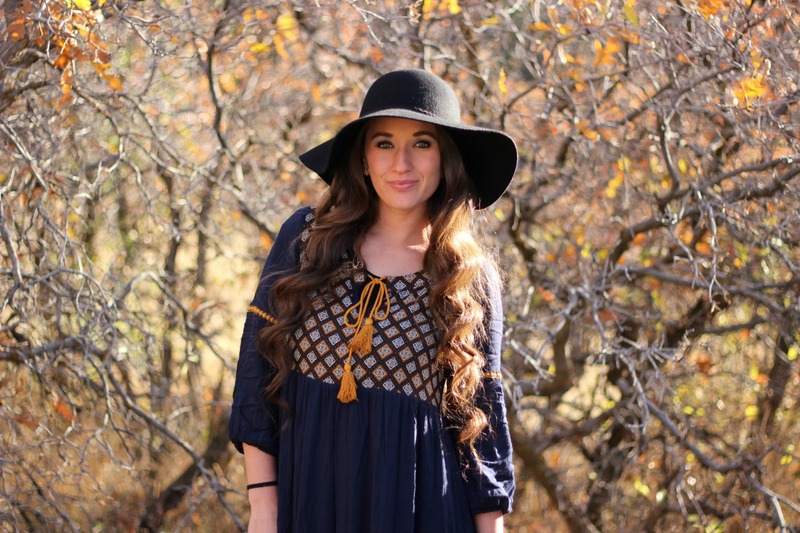 I had tried just about everything and was about to lock myself in my closet because I was flat out exhausted. I felt her diaper and even though it was nowhere near full, it could still probably be changed. I had one diaper left in the changing table, it was a risky move, but if it made her sleep it was well worth it. After I changed her, I began to rock her back to sleep. She was drifting off into dream land and I was holding my breath and wishing so badly that this was all it took. Then it happened... Her little body began to tense up and her little face got all scrunchy. I knew exactly what was coming. Then with a whole lot of force, she let loose. Part of me was happy that her tummy must be feeling better, but the other part of me was clueless as to what I was going to do now. With lovely baby poo coming up her back, I yelled for Hunter to search all corners of the house for just one clean diaper. Luckily, he did find one but can you imagine how much easier it would have been if I just had a huge box of Huggies Little Snugglers Plus from Costco in her closet? I don't know about all of you other moms, but I get incredibly stressed if things don't go smoothly. That stress then rubs off on Oaklyn and it's a big mess all around. I have learned over time that a high stress mama will rub off on her child and will create a high stress kiddo in return. I'm nowhere near perfect, and I absolutely get stressed several times a day, but I'm learning how to manage that and especially how to be more prepared. 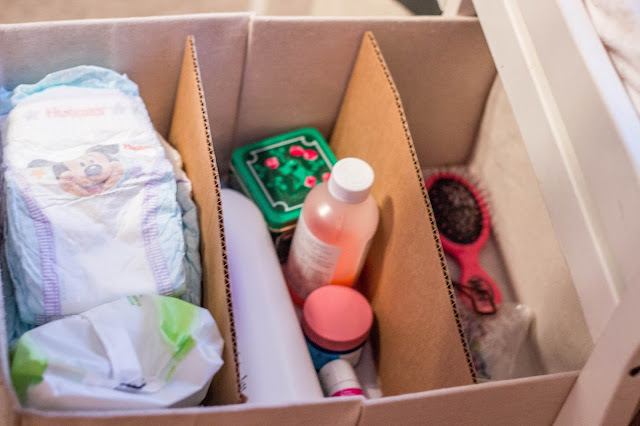 I've discovered certain baby products I love and had to throw away several I definitely didn't like. I've had to slow down and really listen to what it is that Oaklyn needs and take mental notes so we don't run into the same problem later on. I've also had to learn that stocking up on everything we need, will save me hours of worrying in the long run. 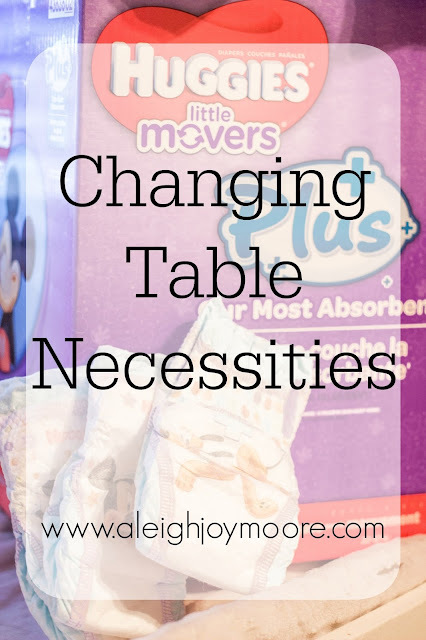 Two things I absolutely always keep stocked with our favorite baby items are my diaper bag, and the changing table. I know people say you don't necessarily need a changing table, but I truthfully feel like you do. We do both the morning and night time routine on the changing table, and every single diaper change happens on it. It's comfortable, safe, and holds everything I need. 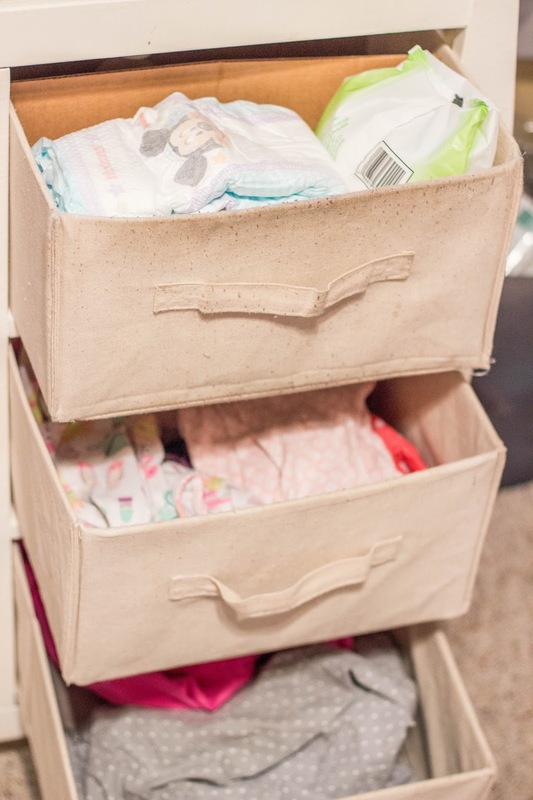 So, today I'm going to share exactly what it is I always keep in our changing table and a very inexpensive and effective way to keep it organized. My changing table drawers have definitely evolved over time. 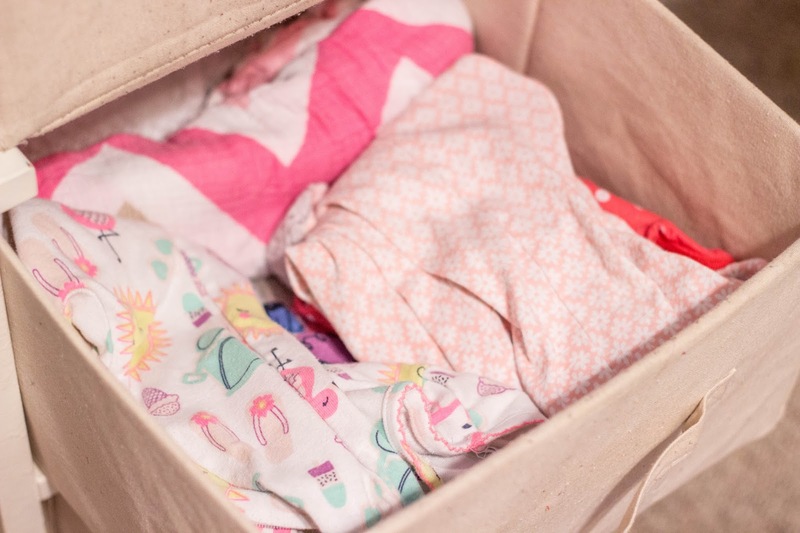 In the beginning, I probably could have stocked every drawer with diapers and still not have enough ;) As time went on I had to make sure I had toys to entertain Oaklyn during changes and blankets to keep her new little body warm. However, there's a few things that have stayed consistent. -Wipes. 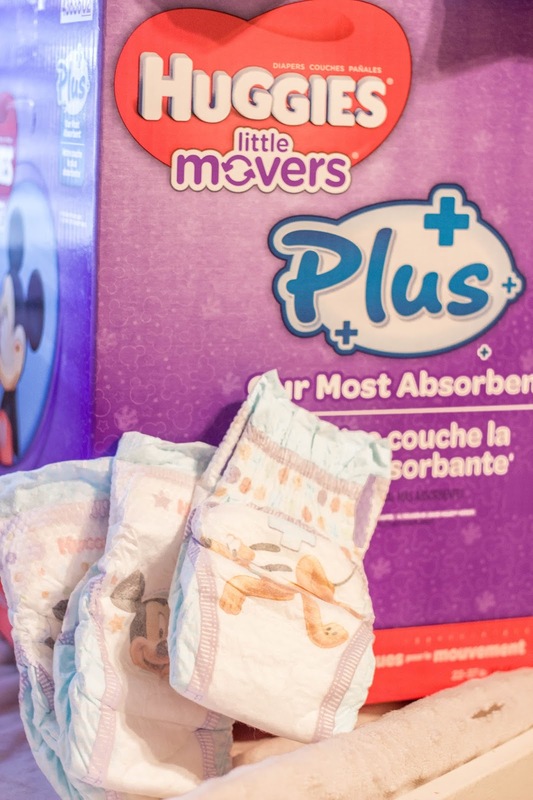 Find a brand of wipes you like, and always keep them stocked up right next to your diapers for quick and painless changes. -Rash Cream. Again, you are going to have to find one that works for your baby's skin, but always keep it on hand... you never know when a rash will break out! -Hygiene Essentials. This is one that will change with time as your baby's needs change. We always keep her toothpaste and toothbrush, lotion, and a little medicine in case a cold comes on. -Hair Care. Obviously this is different for every baby but mine came with a whole lot of hair! So I keep a brush, hair elastics, and occasionally a few bows but her big stash is in her closet. I also keep her pacifier clips in the top drawer. I separated the different compartments in efforts to stay a little more organized and you'll never believe how easy it was to make the separators! 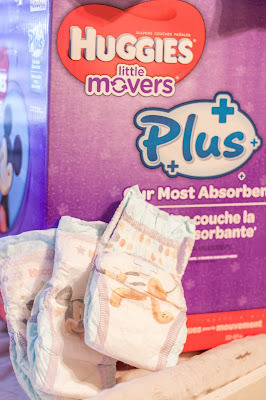 I actually just cut the flaps off of my Huggies Little Movers Plus box and stuck them in my drawer! As Oaks gets older I'll probably get little containers to stick the smaller items in. -Jammies. Part of Oaklyn's bed time routine is to get in her jammies while on the changing table so it only makes sense to have some clean ones in a drawer! -Blankies. Blankets are the easiest way to get Oaks to calm down. Some diaper changes are rough, so I always keep blankets close by to let her snuggle. Extra Sheets. Being prepared with extra sheets makes the world of a difference! Waking up to a wet bed, a spilt bottle, a diaper explosion, or even worse throw up can make for a messy clean up. While I wash her sheets, having an extra to throw on for nap time helps take my stress down immensely! Obviously over time I know some of these things might not matter anymore and if you are a mom of a smaller baby, you might need a whole lot more! 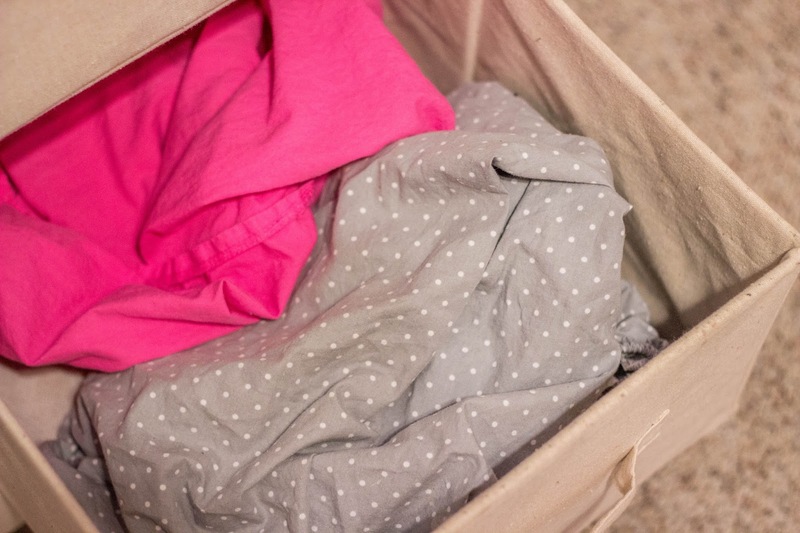 So adjust your separators as you need to and keep your essentials close by. Keeping your favorite items stocked up will help you stay calm during the most stressful situations. So now I want to know, what do you keep in your changing table? ?